I Fathom presents its 4th issue. 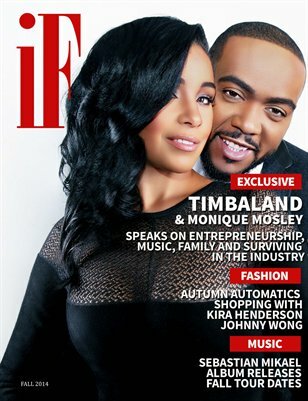 This issue features an exclusive interview with Grammy Winning Music Producer "Timbaland" and his lovely entrepreneur/business partnering Wife "Monique Mosley" as they join us through this journey with I Fathom! This issue also includes R&B Sensation Sebashtian Mikel, and R&B Chinese American group "Jazmin Sisters" This issue also includes High Fashion Photographer's Spotlights and Fall Fashion.